Chocolatier Emily Watson is now part of our FareShare Sussex team – joining us just over a month ago she’s relishing her role helping redistribute surplus food to local charities. “The thing I enjoy most is seeing the impact we have on the ground — in real life, with real people,” she says. She spits her time between her own chocolate business, Cocoa Crystal and working with our warehouse team. As part of Emily’s role she organises and coordinates deliveries to front-line charities across the county. “I love talking to the chefs about the meals they can make with our surplus food”, she says. So what drew Emily to FareShare? “I’ve always been aware of the issues around food waste, and I wanted to use my existing skills to support a cause that means so much to so many people.” …. “Plus I’m in the food business, so I wanted to compliment that with something that embodies the joy of people coming together to share food,” she explains. 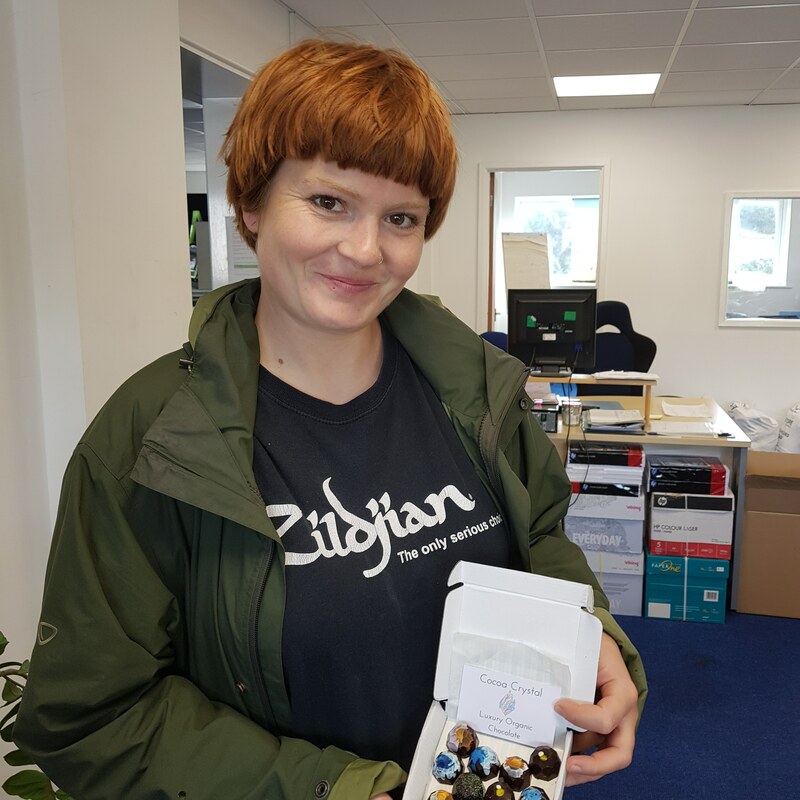 Emily regularly brings her chocolate creations to the warehouse, which of course we can never turn down. At FareShare Sussex we rely on the support of volunteers across our community. To find out more about volunteering sign up here.